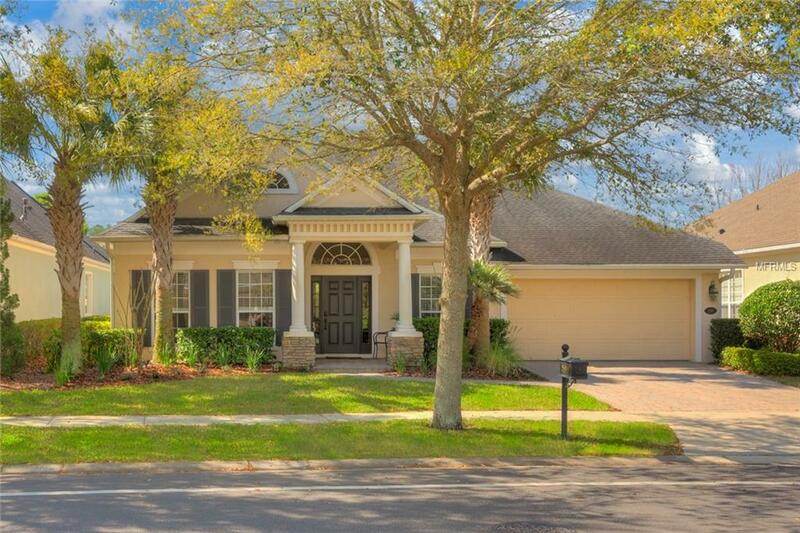 DELAND: METICULOUSLY MAINTAINED AND WELL APPOINTED 5 bedroom, 4.5 bath home in the Victoria Park neighborhood. The curb appeal is WOW! Brick driveway & walk way lead to covered entrance with space for a sitting area. Open Foyer welcomes you with volume ceilings, Arches and architectural details including crown molding and tray ceilings. Fall in love with this spacious home which offers many upgrades and an open floor plan with perfect flow. The formal Living room features wood floors, Large windows and beautiful chandelier. The den/office has french doors for privacy and could also be used as a playroom. The family room is off the kitchen and is spacious and bright due to all the windows that allow natural light to flow through the area. What a neat breakfast nook that also connects to the family room! Built in entertainment center and columns make this room a show stopper. The kitchen is open and features large center island with gas stove, sitting area and extra counter space. Stainless steel appliances and beautiful 42 " custom wood cabinets complete this gourmet kitchen. Huge master bedroom has wood floors, stone electric fireplace and spa like master bathroom. Custom walk in closet is a DREAM! Upstairs bonus room is prefect as a game room or playroom. Plenty of space for pool table and living area. The Fenced backyard is a retreat!! Screened patio, open deck area, grassy area for family and dogs to enjoy and privacy hedges. No rear neighbor house. Over sized 2 car garage. This home HAS IT ALL!